Sono passati 10 anni dal primo iPhone ed è una cosa che fa riflettere. Nel 2007 i cellulari stavano prendendo una direzione completamente diversa, con Symbian e Blackberry dalla parte conservativa e Windows Mobile che iniziava ad offrire una "percezione" più moderna con schermi interi, touch screen (resistivo) e pennini. Apple ha proposto un cambio radicale che quasi tutti i principali produttori dell'epoca hanno preso sotto gamba – pagandone care le spese – e che si è imposto come unica via di sviluppo nel giro di un paio d’anni. Apple mette tanta carne al fuoco con questo iPhone X, uno smartphone che non è un punto di arrivo, ma un nuovo punto di partenza: non è perfetto -una maggiore autonomia operativa sarebbe stata decisamente apprezzata e più in linea con la levatura e l'ambizione dello smartphone, così come una dissipazione termica più controllata- ma suggerisce che direzione prenderà il mondo degli smartphone nei prossimi cinque anni, tra realtà aumentata, autenticazione trasparente all’utente, interazione contestuale. Il prezzo è alto, per entrambi i tagli di storage, ma è il dazio da pagare per assaporare un antipasto del futuro. 80% iPhone X recensione: è davvero questo il futuro dello smartphone? È difficile giudicare un telefono così costoso. iPhone X è evidentemente un prodotto eccellente, con ancora degli aspetti da limare, ma per essere un dispositivo di “prima generazione” (sarà questa la base di partenza per i prossimi iPhone) il risultato secondo me è più che valido. È un salto importante dai modelli precedenti ed è un device che compete benissimo con tutto ciò che è stato rilasciato dalla concorrenza in questi mesi (e spicca rispetto agli stessi telefoni lanciati da Apple due mesi fa) – ma l’investimento economico è probabilmente superiore. iPhone X costa tanto, davvero tanto. Si parte da 1189 euro per la versione da 64GB e si arriva a 1359 euro per la versione da 256GB, quella che comunque consiglio dato che la memoria non si espande, giochi ed applicazioni diventano sempre più pesanti ed per un minuto di video in 4K a 60fps occorrono circa 400MB. iPhone X è l'iPhone che tutti vorrebbero (o quasi). Schermo ottimo, design futuristico e tutti i pregi di un iPhone 8 Plus in un corpo molto più piccolo. Rimane però un prodotto per "early adopter" o vero fan Apple, visto il prezzo di ingresso veramente molto alto. 1189 o 1359 euro per il 256gb. A me è piaciuto moltissimo per l'uso quotidiano, per il design anteriore ma, sopratutto, per l'immediatezza d'uso di faceID. Ma, razionalmente, comprerei iPhone 8 plus, qui c'è ancora da lavorare sul software. Però io sono poco razionale. E a me questo TEN piace molto! Al netto delle animoji........ma no dai, sono tanto adorabili quanto inutili!!! Apple iPhone X ha poi nella confezione degli auricolari con cavo EarPods con connettore Lightning e supporta una sola nanoSIM. Sempre nella confezione non sono presenti accessori per la ricarica wireless che dovranno essere comprati a parte mentre c'è un caricabatterie Lightning con supporto alla ricarica rapida e un adattatore da Lightning a jack 3,5 mm. Per quanto riguarda i prezzi e la disponibilità, Apple iPhone X sarà venduto in Italia a partire da 1189 euro per la versione da 64 GB mentre la versione da 256 GB avrà un prezzo di 1359 euro. Lo smartphone sarà disponibile in due colorazioni ossia argento e grigio siderale con i preordini che saranno a partire dalle 9:01 del 27 Ottobre! 80% Six months with Apple's most expensive iPhone: A long-term r ..
Those who have been using the iPhone X also would agree that .. Whether this is the iPhone of your dreams depends on a lot of things. If you wanted a big screen but you were put off by the size of the iPhone Plus then this is going to be the answer to your prayers at long last. The iPhone X is remarkable and revolutionary – but it's also overpriced and in some regards, represents a step backwards in terms of usability. 70% iPhone X Review: Did Apple's $1000 Bet Fail? Having used it since launch it's the best iPhone we've used, but strangely for all it's new features and new technologies, the iPhone X is still very much the iPhone you know and love. There's a lot of good in the iPhone X, but is there enough to justify the £200 mark up on the equivalent iPhone 8 Plus model, or the £300 premium on the iPhone 8? Despite some quirks, we'd say that the improved rear facing camera, the additional features that the Face ID camera brings, and the beautiful OLED screen justifies the increase, even though it still feels like a lot of money. The iPhone X represents the change in direction the series has been due for some time now. The iPhone 8 and 8 Plus are great phones, but their ageing design and lack of real innovation holds them back. The iPhone X feels like a genuine step forward, especially in design – but this device won’t be for everyone. 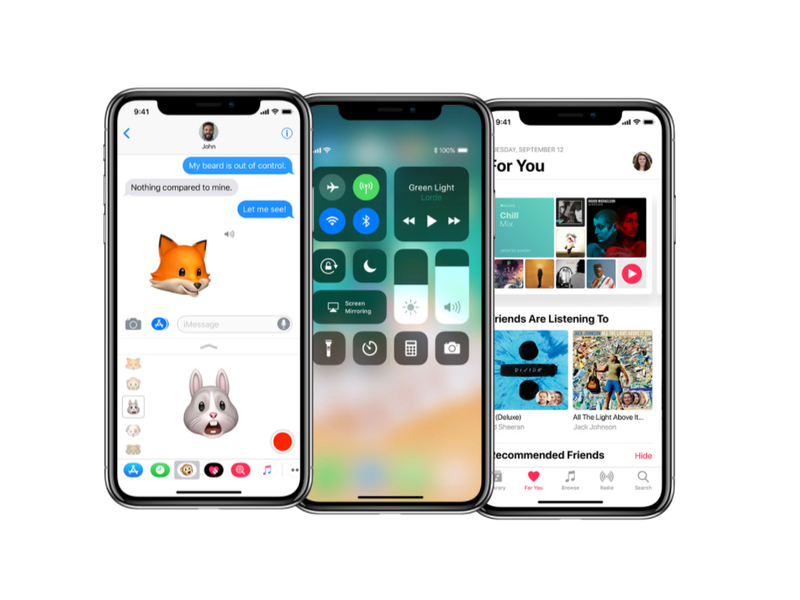 If you're an Apple power user looking to get something different from the rest of your iPhone-using family, this is the big change you've been waiting for, the model you'll want, the chance to be different, but without rocking the boat too much because thankfully, it's still very much the iPhone you know and love. 85% iPhone X Review: Eccentric, Expensive, Electric, Exquisite… even now! The iPhone X offers users a versatile, simple and powerful smartphone photography experience. Dual lenses give users zoom flexibility, the lighting effects present in Portrait mode are impressive, detail in video capture is excellent, and the beautiful display really makes photos and videos come to life on the device. Low light performance can be disappointing, though, and the new file formats aren't the friendliest for Windows users. Overall, the iPhone X is one of the most capable smartphone cameras on the market today. Back with my previous smartphone, I have no regrets. The iPhone X cost twice its price but isn’t twice as good. It’s for the Rolex wearers. Unless you specifically want the all-new form factor and its AMOLED screen with its taller aspect ratio, it would be remiss of us to recommend an iPhone X over the similarly specified iPhone 8 or iPhone 8 Plus. We wouldn't blame you for wanting Apples latest and greatest, but we'd strongly recommend trying to spend some time with the iPhone X to experience for yourself Face ID and those new gestures in action. If they work for you, then you're going in with your eyes open (Face ID pun not intended), and you won't be disappointed because it's still a high-end Apple product and the amazing app ecosystem would help you make the best out of it. iPhone buyers believe - and we concur for the most part - that Apple offers an experience that’s still worth the premium, but for most people, a Rs. 1 lakh iPhone is a bridge too far, and the choice should probably be between the iPhone 8 and the iPhone 8 Plus. And if you are willing to look beyond Apple’s walled garden, there are plenty of good options to consider. Samsung released a solid trio of flagships this year, and you could pick one that best suits you ergonomically and be extremely happy with it, while saving a fair chunk of cash compared to the newest iPhone models. Google’s Pixel duo has its fans as well, and while it’s probably the best camera inside a phone right now, this year’s models seem to have the same reliability issues that plagued their predecessors, which stops us from making a serious case for the Pixel 2 or the Pixel 2 XL. iPhone X is an overdue and winning evolution of the iPhone, but you’ll need to leave your comfort zone to make a jump into the face-recognizing future. The iPhone X is the first-generation of a new line of iPhones. It isn't a one off; eventually all iPhones will look like this. Unless Animoji is a feature you absolutely have to have right now, it's worth waiting for Apple to perfect it. This is the iPhone Apple fans have been waiting for. It looks gorgeous and its clever design now means you get a much bigger screen in a phone that easily fits in your pocket. 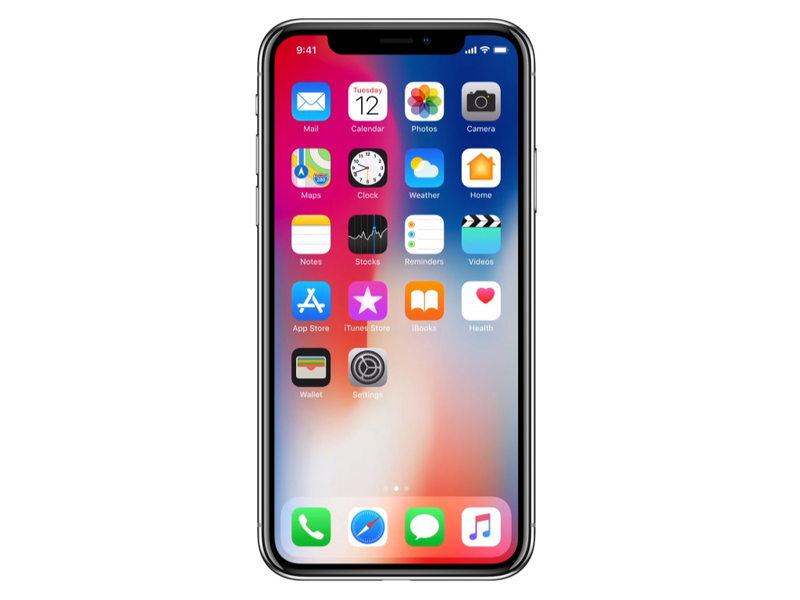 The iPhone X is certainly the phone to beat, and it has set a benchmark on many fronts such as Face ID, the OLED display and performance numbers. Low light photography and the portrait lighting modes are still some areas which could do with some improvement. The Pixel 2 XL outperforms the iPhone X in the low-light photography department on most counts. But barring this, the iPhone X has an exceptional camera, especially if you love shooting videos — the fully stabilised 4K 60 fps shooting mode, in particular, will garner a lot of fans. It could be the most divisive iPhone yet, but we loved it. The biggest problem is the price, since you'll need deep pockets to afford and make the most out of the iPhone X. The iPhone X is far and away the best iPhone that Apple has ever made. But with such an exorbitant price and such such stiff competition from the likes of Samsung and others, the iPhone X doesn't distinguish itself enough to earn a full recommendation. It's the best iPhone ever - but it's not the best smartphone. The team suggested that fingerprints are still the safest way to protect your phone. We also suggest long pass codes. Sadly, payers of the Cupertino idiot tax with the new handset don’t get that fingerprint option, so passcode it is for the moment. On that same token, the iPhone X is the clear future of the iPhone, so devices like the iPhone 8 are a dying breed in Apple’s lineup. So far, I really like where Apple’s future is headed. The iPhone X is finally an exciting phone, in fact it is the one that has really got me like the iPhone again since the iPhone 4, despite of that I still have to say that this is a pretty expensive device to pay for, considering there are so many alternatives that can perform on par or better than the iPhone X in the Android camp, that is if you can live without Face ID and Animojis. However, if you have the cash to splurge on an iPhone X, by all means, go ahead. We’ll have more details on our thoughts about the iPhone X in the final review, so stay tuned for that. The iPhone X is hitting Malaysia starting this Friday, 24 November 2017. Available in Silver and Space Grey, the iPhone X is officially priced at RM5,149 for 64GB and RM5,899 for 256GB. If you’re planning on getting one with a telco contract, do check out our plan comparison. And the iPhone X actually is the best overall phone, as far as hardware goes. The display is on par with anything else out there, as is the camera, which can record 4K 60fps video. Performance is far and away better than anything else on the market too. Apple iPhone X review: Status symbol reinstated! The iPhone X is simply the best iPhone so far. This is THE Phone to have in 2017. But, will you buy it? People who have the budget and love Apple, would have already bought one. And those who are planning to buy, this review is unlikely to change their minds. Review: The iPhone X is the best phone for business, period. When looking at the wealth of smartphone options now available on the market in either the IOS or Android ecosystems, there are many factors to consider, including reliability, security, hardware quality and longevity, software support (both feature-specific and security-related), management and deployment, as well as the availability of third-party hardware and software support. There have been reports of the iPhone X's display becoming unresponsive. During our extensive testing, we faced the issue only twice, once when running a graphic hungry game and once while browsing the Facebook app. Apple has said, in the next update this issue will be resolved. However, this does not ruin the overall experience of the iPhone X and one can overcome this issue (currently) by turning of the screen and restarting the app. As I said earlier, it's not my place to tell you whether or not the iPhone X is worth $1,000. For me, it surely is. I couldn't see myself using the iPhone 8 or iPhone 8 Plus for the next year, especially with the iPhone X available. Yes, if you are upgrading from an iPhone version that is more than 18 months old, don’t really need a large phone in your hand and can actually afford the price tag. This is clearly the best Apple iPhone available at the moment. It is also the most innovative Apple has been in a while and I would buy the phone just for the convenience of the FaceID. However, this is a phone you will have to care for every second of the day, and don’t want to drop due to carelessness. The iPhone X is the iPhone we've been waiting for. After three years of basically the same design, the X finally delivers an ambitious and forward-facing take on what an iPhone can be. But like a lot of first-generation hardware, it's not without its flaws. Face ID works, but it's not the finely-tuned perfection that is Touch ID; the new Super Retina HD display looks amazing, but it's spoiled by that notch. The iPhone X is Apple’s most exciting smartphone to date. We are sure of that. It’s not just a nod to the original iPhone but also a blueprint for the company’s future smartphones. It’s got a new design, premium build, a large, almost bezel-less high-resolution display, powerful internals, great cameras, and the new TrueDepth camera system with Face ID. Yes, you should. If you can. This is the best iPhone Apple has ever made. I am mostly an Android users, and yet I can see that this phone is in a league of its own. The hardware is superlatively good. The software is good enough. If you are going to spend Rs 70,000 or more on a phone, ensure you spend it on the iPhone X. It's that good. It’s not perfect: the notch can be annoying, discovery of features on the phone is still atrocious, and it’s difficult to believe any smartphone is worth £999, particularly when the best of the competition can be had for almost half that. The iPhone X is undoubtedly a gorgeous phone. After a few boring iPhone iterations, Apple is well and truly back at the forefront of smartphone design. At first glance, and feel, the iPhone X doesn't feel like an iPhone at all, and that's not a criticism. It feels luxurious, sturdy and expensive - which, at £999, it is. The iPhone X is probably not the best iPhone you can buy right now, but it sure is the most exciting one. And if you've been watching the iPhone space, waiting for something new to finally happen, you know what that means. The main purpose of the iPhone X is to show us the future of the iPhone, the next chapter in the iPhone story. It feels like a prototype for Apple's next-year phone. Aside from $1000 bucks, there's nothing else stopping you from getting a taste of that future, today, but you'll have to put up with the compromises that come with this privilege. It's an iPhone, a special edition at that, so it will sell in millions, break records, and score some impressive revenue for Apple. And there is not a single test, video, review, or an opinion online to change that. Unless it battery starts exploding, the X is bound to be a blockbuster. Bound by blood if you will even. iPhone X is the upgrade we’ve waited years for. It combines the breathtaking design Apple is famous for with new technologies that make using a smartphone a much more enjoyable experience. It makes iPhone exciting all over again. With all of the analyses completed, the scores calculated, and the results verified, the iPhone X turns in an excellent result, delivering outstanding images for smartphone photography enthusiasts. It’s exceptional for stills, achieving the best Photo sub-score yet at 101 points. The overall score is affected by a slightly lower result for video, but at 97 points, the iPhone X ties with the Huawei Mate 10 for the second-highest score in our database of overall mobile image quality. For portraits, the improved telephoto lens delivers sharp results even indoors, and the bokeh simulation produces a natural and pleasing background blur. Outdoors, exposures are outstanding, with great dynamic range, impressive skies, good fine detail, and punchy color rendering. Add to all that the extra features on the front-facing camera, including a Portrait mode for blurred-background selfies, and the iPhone X delivers one hell of a smartphone camera. Is the iPhone X the best phone this year? Yes. But only by a whisker. The Galaxy Note 8 is so close, while Apple’s own iPhone 8 Plus gives you so much of the iPhone X benefit without such super expense. In the end though, it’s the marriage of software and hardware that’s so effective here and that’s especially the case when it comes to Face ID. iPhone X preview: Should you buy the iPhone X? It’s too early to say whether you should buy an iPhone X. We need to test the TrueDepth camera and see how the absence of a home button and the introduction of a notch affect apps and iOS 11. If you're an Apple power user looking to get something different from the rest of your iPhone-using friends, and different to he phone you've been using for the past few years, then this is the big change you've been waiting for. At the same time you get all that without rocking the boat too much, because the iPhone X is still very much the iPhone you know and love. There’s something both familiar and foreign about the iPhone X. On the one hand, it conjures memories of earlier iPhones, with aesthetic cues borrowed from the past ten years of designs. At the same time, though, the hardware has been pushed back to the periphery as much as current technology allows it. Apple’s vision is of a smartphone being little more than a frame to the digital world, and the iPhone X is the purest expression of that we’ve seen so far. There’s a lot left to talk about the iPhone X, such as the protruding vertical camera setup on the back, camera performance, battery life and overall performance. But as far as our initial impressions go, the iPhone X actually feels premium and brings a lot of new and high-end features to the table. It’s perhaps the best that an iPhone can offer at the moment. It is expensive, sure, we are sure that will not discourage Apple loyalists from buying this baby. The one thing holding most iPhone fans back will be the cost of the iPhone X. Starting at $1579, this is the most expensive iPhone Apple has shipped, and it's a good $130 more expensive than Samsung's Note8. There's a hell of a lot of impressive technology here from that OLED screen, to Face ID, to the dual camera you'd normally have to buy a Plus sized phone to get, but it's not going to be worth it for everyone. The one thing that does annoy me is there is no USB-C fast charger in the box. A premium product like this, capable of fast charging only with USB-C, should include that USB-C charger and not the standard slow one. It'd also make the phone more compatible with Apple's USB-C MacBook laptop line. While my thoughts regarding the iPhone X are mostly positive, another significant issue with the smartphone is whether it will even be possible to purchase it in Canada for the foreseeable future. When choosing between a simple product line and creating the most innovative phone on the market, Apple chose to go with innovation. It’s hard to say how all of this will shake out and how this strategy will affect sales. OLED screen prices will eventually drop and Apple may eventually go back to a simplified product line. In the meantime, Apple has created a phone for the rich and a phone for the rest of us, and has sacrificed on its margins in the process. By all accounts the iPhone X looks to be the best phone Apple (or anyone else) has ever created, but the cost of that device might be Apple’s successful business model. Finally, Apple has also embraced wireless charging – once again, like several of the best Android phones, some of which have offered it for well over a year – with all three of its new iPhones. If you want the best display ever seen on an iPhone, though? Then the X sets the bar nice and high - even if it comes with a price to match. The iPhone X is the most expensive iPhone ever, but it's also the most striking iPhone ever, crammed with new tech and features. 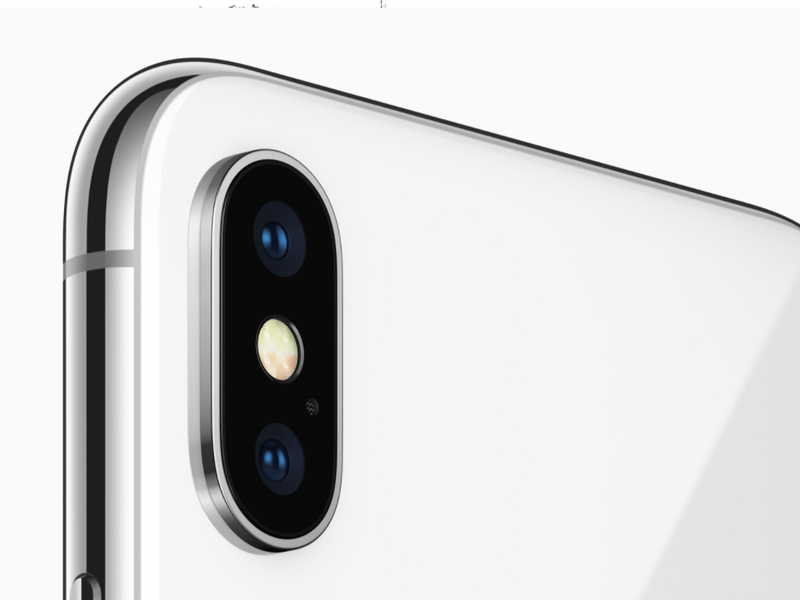 As you would expect, the iPhone X comes with a bunch of other enhancements: improved cameras with Quad-LED True Tone flash on the rear, the A11 Bionic SoC that’s the fastest-ever smartphone chip on paper, stereo speakers, water and dust resistance, wireless charging, and a whole lot more that we will test in detail over the next few days. Stay tuned to Gadgets 360 for a review of the iPhone X.
It’s hands down the best iPhone ever, but is it the smartphone of the future? That’s the million dollar question – or, considering the $1,000 starting price and the number of phones Apple is likely to sell, let’s call it the trillion dollar question. All up, we were very impressed with the iPhone X. It’s an extremely powerful device that has all the ingredients to set the stage for future augmented reality apps, and will undoubtedly influence other Smartphones as time goes by. While some of the technology, such as OLED screens and facial recognition have been available in Android phones, Apple’s has re-engineered and integrated these features extremely well. We’re looking forward to writing an more in-depth, comparative review once we have a change to spend more time with it. You’ll be able to pre-order the iPhone X in Australia on October 27 with prices starting at $1579, and it will be available on November 3rd. Apple say that this phone will kickstart the next decade of the iPhone and they weren't wrong. The screen is big and stunning, the device smaller for that edge-to edge-approach, and the underlying tech more than capable enough to make it shine. Undoubtedly this is the biggest and boldest change to the iPhone we've seen so far. The brand new iPhone X -- that's pronounced "ten," by the way, not "ex" -- is a phone of firsts for Apple. The 5.8-inch OLED screen isn't just larger, it also uses a different technology that Apple says will make colors absolutely pop. It's also the first iPhone to completely do away with the iconic home button -- you know, the one Apple popularized on its very first iPhone. And, it's the first to offer Face ID as a new way to securely unlock the phone and pay in the check-out line. Apple iPhone X oder iPhone XR? 97% Apple iPhone X Wird das iPhone X dem Hype gerecht? 80% Test De L'Iphone X : Le Prix De La (Quasi) Perfection ? 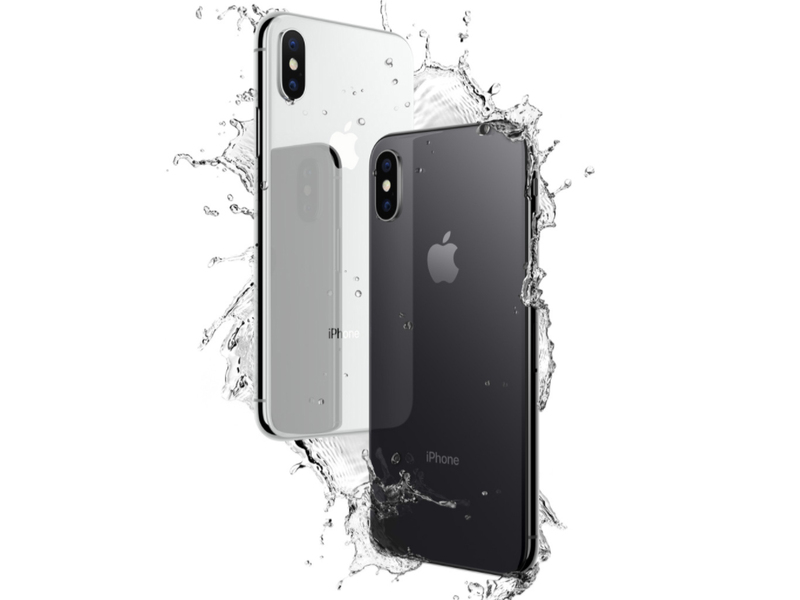 79% Test af iPhone X (10): Årets svindelnummer – køb den ikke! Apple A11 Bionic GPU: Ridurre la distanza delle Schede Grafiche per gli utenti che vogliono utilizzare il videogiochi. I nuovi giochi dovrebbero funzionare su queste schede, ma con riduzione dei dettagli e risoluzione mediocre. 5.8": Questo display è abbastanza grande per uno smartphone ma spesso viene usato su smartphones. I display con dimensioni maggiori consentono risoluzioni più elevate. Quindi, i dettagli come le lettere sono più grandi. D'altro canto, il consumo energetico è inferiore negli schermi con diagonali piccole e su dispositivi più piccoli, più leggeri ed economici. 88.75%: Questo è un buon punteggio sopra la media. Tuttavia non dovete dimenticare che il 10-15% di tutti i modelli di portatili hanno un punteggio superiore.